Arthur Renwick also has a few photos on display as part of the Emily Carr exhibit at the AGO. The Toronto-based First Nations photographer was in British Columbia in the summer of 2005 and took a number of shots of churches in the First Nations communities, drawing an obvious parallel to Emily Carr's "Indian Church" from 1929. 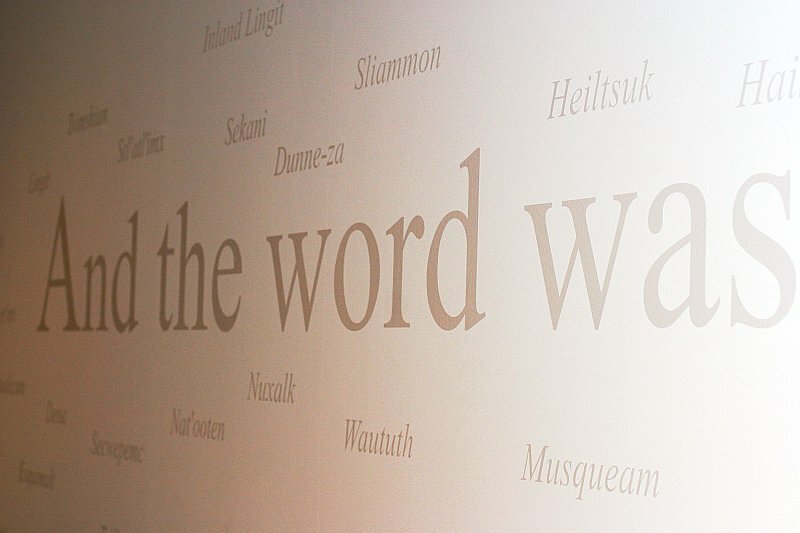 This is a shot of the wall across from his photos, with the names of First Nations languages / communities.